As we've learned from the first three articles of this four-part series for the ideal office space according to your personality style, each of the other styles has its own unique flavor of office essentials. The dominant office style reflects leadership and organization; the influential office style often shows friendships and creativity, while the steady office style can be described as practical and reliable. If you are just moving into your space or refreshing your work space in the new year, you may want to check your DISC style here first, then start with your "Must-Haves" when decorating and equipping your work pad. One of the unique aspects of PeopleKeys' DISC Reports that also makes them a key tool for hiring and managing your talent, is that the DISC report outlines what environment you most prefer. It's important for a both the manager and as well as the employee to know what environment is most fulfilling and will make the employee most productive. It not only helps employee retention, but also creates a happier and more motivated workforce. The key to any high C personality is to laser focus and that's what your office is all about. You have plenty of graphs, informational charts and articles on your computer, and need plenty of room to display it all. Two monitors will keep you moving forward and are great for projects which require multiple sources. You usually are engrossed in a lot of research and analytics, so this helps you sort it all out. Your computer should also be up-to-date with the best working software to keep you moving at top-speed. You like to know where everything is when you need it, every high C personality does. Whether it's a folder, papers, book or receipt, your cabinet is as ordered and detailed as the files on your computer. Filing cabinets are perfect for keeping your desk free of clutter, and are great for documents with lots of information. Bonus points if you summarize each document to save time when finding information later. You are also not a stranger to desk organizers for pens and paperclips. You're not known for your office banter or close-knit relationships with coworkers. You're often the first one in the office, last one out and you tend to stay in the office to work through your lunch breaks as you often have a lot of work (because you are highly capable). Your office has a closed-door policy so that you'll stay on the ball and not get wrapped into the office drama. Sometimes your analytical and logical mind needs to stretch beyond the paper, this is where the whiteboard comes in handy. The high C style uses the whiteboard and dry erase makers to set up flows, processes, charts, graphs or drawings. Because C style personalities can be highly creative, this can be a creative pallet free of lines. The whiteboard will be a reminder of processes and details the C may need to excel at work. 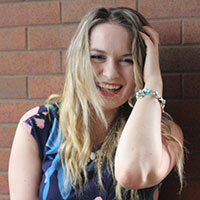 You love task planning, executing, scheduling and making every second count. A high personality C loves having every moment accounted for. You're not afraid to let others know you're penciling them in and have a large, detailed planner in clear view. Not only does it have all important dates marked, it also accounts for every available hour so you know you're always on-schedule. Earbuds can serve a multitude of purposes. Use them to listen to your favorite tunes or in the case of many High C style personalities, use them to cancel out the noise. Try a pair of wireless headphones to look discreet and zone out of all the background noise. Not only can you use them to keep the office quiet, it will also deter people from starting conversations until you have a break in your schedule to have them. Being a high C personality is all about paying attention to detail, staying focused, zoning out from distractions and staying true to the numbers, facts and figures. If you've tested as a high C personality, see how these items can be incorporated into your office space and benefit your work. The amount of time spent at work is well over the majority of hours within our lifetime so when deciding what is essential to your office space, taking your personality into consideration is crucial. According to Professor Marston's DISC theory, people have four main personality traits: Dominance, Influence, Steadiness, and Compliance. 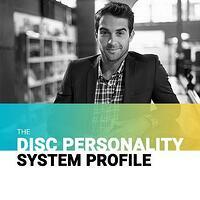 If you're not sure what's your style, you can take the DISC Personality System Assessment by PeopleKeys which, in less than 7 minutes, will give you an extensive insight into your behavior, how you react to stress and how you work in a group. By learning more about yourself, this will enable you to enhance your environment and increase your productivity.